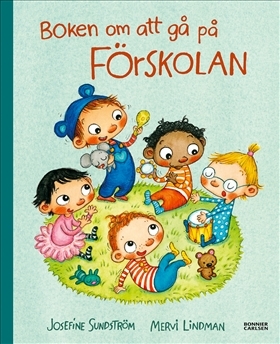 Josefine Sundström has created an amazingly realistic world where many children will feel at home. 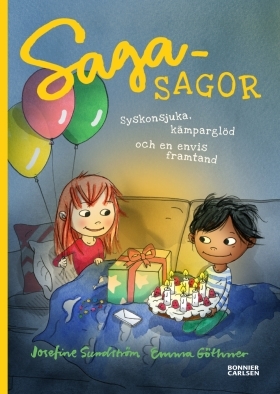 Saga’s Stories are warm and funny books with an authentic children’s perspective, meant to be read aloud. 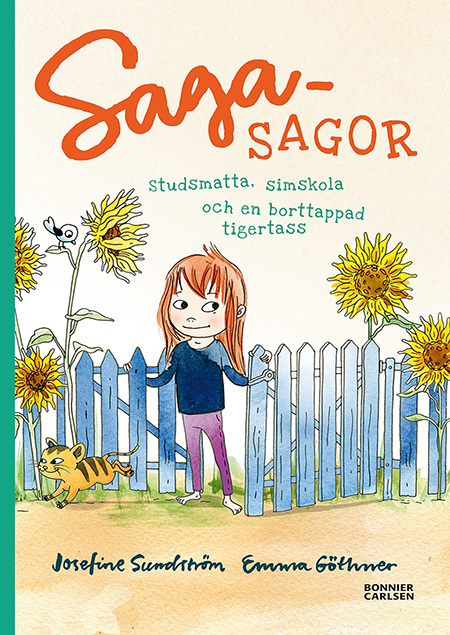 Saga Louisa Larsson is a steady, smart and stubborn little person who lives together with her mummy and daddy in one of the terraced houses on Sunflower Street. 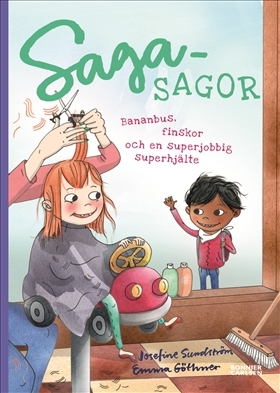 In this book Josefine Sundström and illustrator Emma Göthner tell the story of what happens when Saga falls ill at her very own birthday party, how she loses her first tooth, builds an obstacle course together with her friend Samir and how she manages to get separated from her parents at the biiig furniture store. Saga is also quite jealous of Peggy who has gotten a baby sister. I mean, who doesn’t want their very own little baby to take care of? With sensitivity and a delightful children’s perspective, small yet life-changing moments in a five to six-year-olds life are portrayed with real heart. 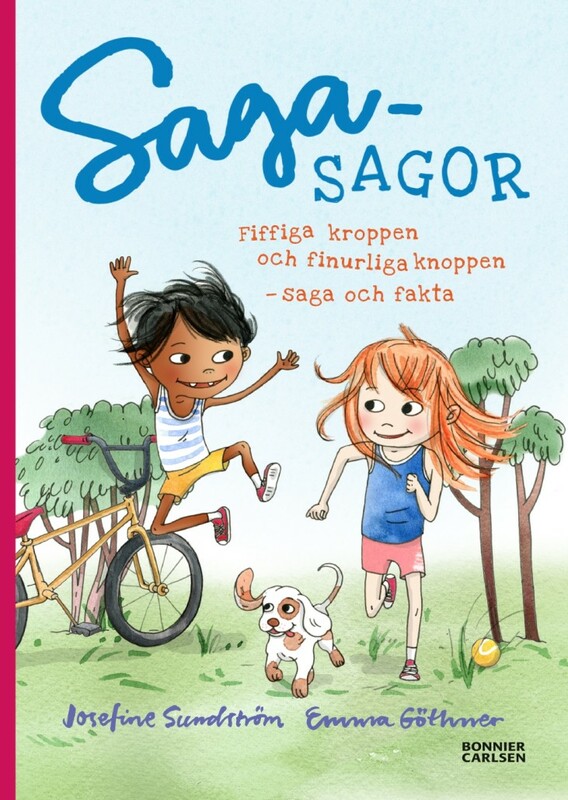 Emma Göthner’s many colorful and vibrant illustrations make Saga’s Stories the perfect transitional book to use when you go from reading picture books to reading novels. I love Sagasagor, they’re about real things. 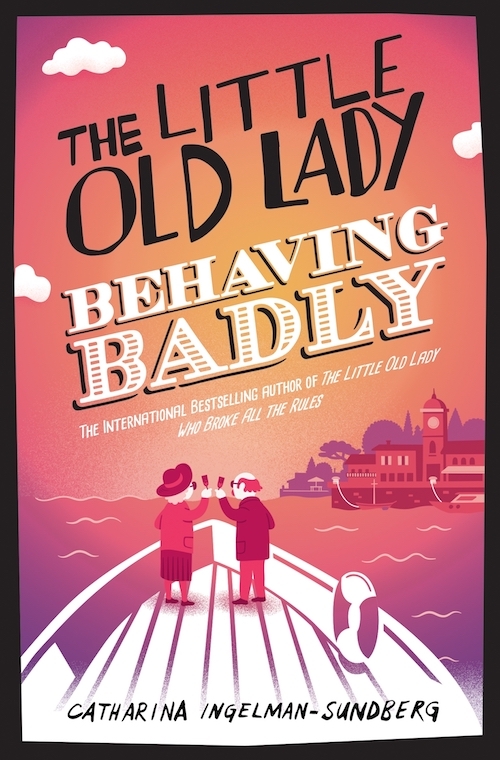 Empathetic, ingenious and reader friendly… shows perfectly the ordinary but still important situations that children can recognize.